Rebecca Britton was born profoundly deaf into a hearing family. The youngest of two girls, she first learnt BSL at primary school at Frank Barnes School for the Deaf in London and later attended Nutfield Priory School for the Deaf. Whilst at these schools she perfected her communication skills, both orally and through sign, allowing her to grow up in both the hearing and deaf worlds. After leaving school she worked in the printing industry for 20 years, as a graphic designer. In her heart, this was not what she wanted to do for ever. Her goal and driving force was to became a trained BSL teacher and teach people to sign as well as working more closely with other deaf people in the community. The draw of this and the dedication to promote deaf culture grew too strong and in 2006 she took the leap to learning to teach. She gained the relevant qualifications and for the past 6 years has been teaching all standards of both hearing and deaf people in BSL. Rebecca has been able to realise her other dreams and now works as a Support Worker with Deaf clients and has been accepted as an External Assessor for Signature BSL Level 2. Rebecca has been teaching people to BSL levels 1 and 2 to accredited standard and has been coaching others towards attaining level 3 and 6. She has also undertaken workshops for local businesses and both local and county councils for groups of staff to differing levels. Rebecca feels that she is able to give something back to people through her work and help to break down the barriers and prejudices between the hearing and deaf worlds. She has been described by many of her students as being professional and incredibly patient in her teachings and at present has a 99% pass rate for BSL Level 1 and 98% for Level 2. 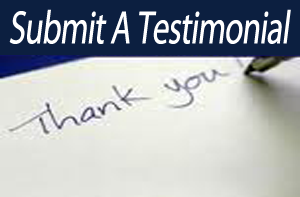 (Please see the testimonies for more information). Nothing can hold Rebecca back. She is the mother of two hearing daughters, and whether it be sky diving or Scuba Diving, “I can’t do that!” does not feature in her life. She is very well known in the British deaf scene and looks forward to the many nationally and locally organised events. She was lucky enough to be selected to play for the Deaf England Football Team. One of her favourite pastimes is Scuba Diving and she has been able to use her PADI Advanced Open Water qualification to great effect with a number of dives with friends including trips to The Red Sea. Rebecca also loves swimming, walking, running and working out at the local gym. NVQ BSL Level 6. Quarkxpress trained. Illustration trained. Photoshop trained. Training as Sign Language Teacher – City & Guilds Cert. Delivery Learning. City & Guilds 7407/1 Stage 1 Tutor. Basic Linguistics of BSL. Deaf Awareness Trainer. Communication Tactics Trainer. Signature trained Assessor. Rebeccas’ teaching ability has been assessed in February 2012 by Richard Collyers College in Horsham and in March 2014 at Ifield Community College by Aspire. In both occasions she was awarded “Outstanding”. Karl is hearing and was introduced to the deaf world in late 2010. Since then, Rebecca has been coaching him and he is now BSL level 2 qualified. He is Rebecca’s Personal Assistant and interpreter for Access To BSL and can be contacted via 07810 484462. He will be able to answer any queries or concerns you may have. 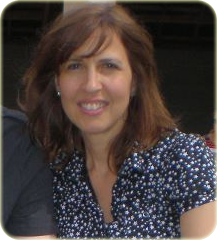 “I have really enjoyed learning and conversing via BSL. I have been lucky enough to meet Deaf and Hard of Hearing people through BSL and consider many of them to now be great friends. Rebecca is a great teacher! I have completed and successfully passed both levels 1 and 2 with Rebecca, and I’m now looking into BSL level 3! She was very supportive and encouraging throughout both levels, and she adapted her teaching style to suit everyone’s needs. My confidence in my signing ability has grown and grown thanks to Rebecca and I’m now looking forward to a career in BSL! Definitely recommend!